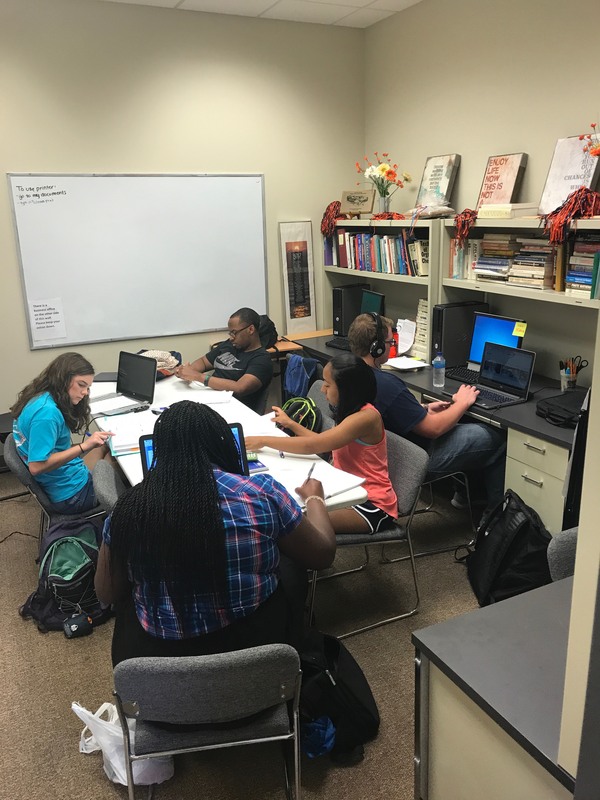 The COSAM Drop-In Center, established in 1994, occupies rooms in the Science Center Classrooms Building including staff offices and study/workshop rooms. 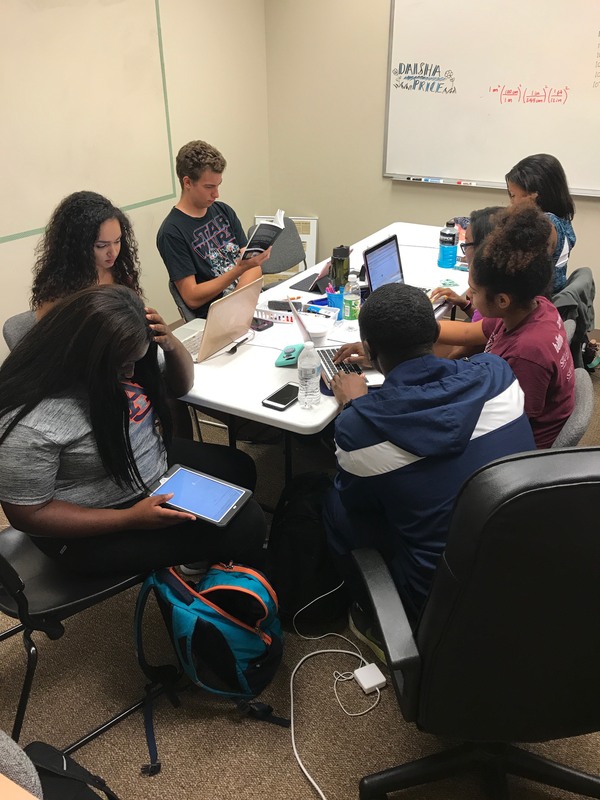 The Drop-In Center housed in the College of Sciences and Mathematics Office of Inclusion, Equity, and Diversity is the home of a comprehensive, academic-support program for all students with majors in sciences and mathematics. 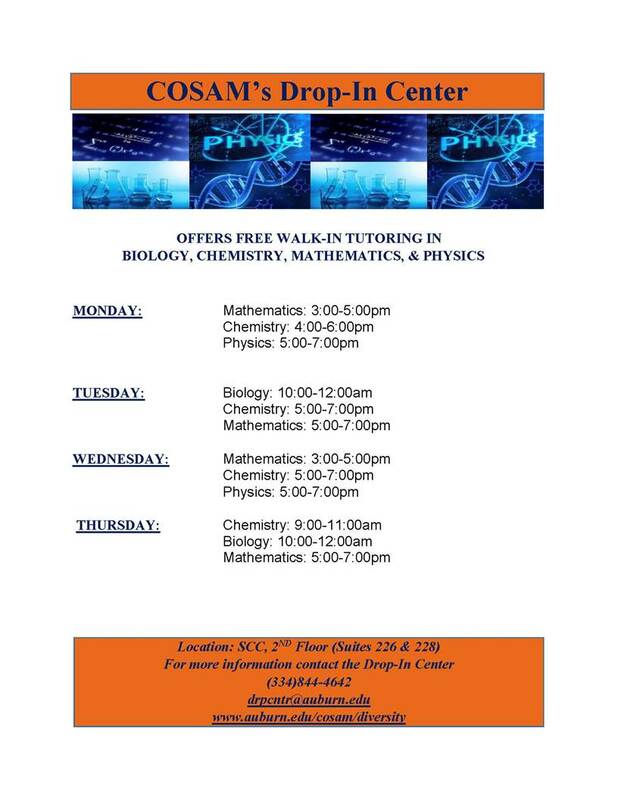 During the school year, free tutoring is offered in Biology, Chemistry, Mathematics and Physics.